If we look at the viewership growth of cricket over the last ten years, the Indian Premier League (IPL) has emerged to become the most loved sporting tournament in India. 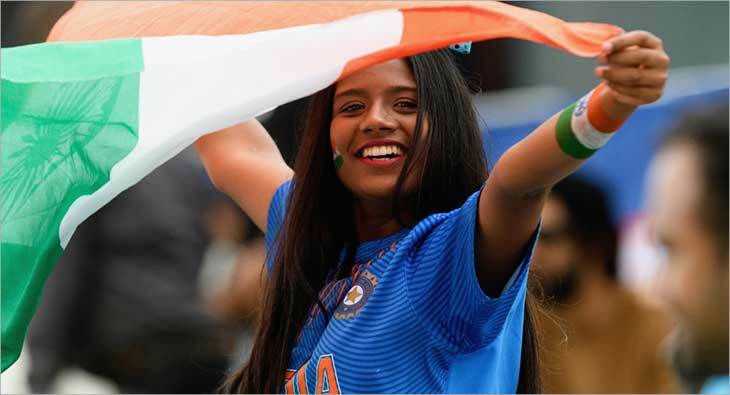 While sports viewing in India is largely considered popular with men, IPL has over the years successfully attracted a substantial fan following among the women audiences too. The viewership data in the previous seasons have shown that women command a substantial share of IPL viewership. If we look at BARC data over the years, in Season 9, IPL had a total viewership of 1 Billion out of which 606 Mn were males and 421 Mn females. In Season 10, the total viewrship was 1.2 Billion and the female viwership was 512 Mn which rose to 607 Mn in Season 11. Marketing Expert Anamika Sirohi says that in the past cricket would never feature in the media plans of any marketer selling to women. “The IPL is a fantastic example of how media innovations can alter viewing habits. I think of it as the great Indian thali meal - there’s something for everyone in the family. I think the marketer friendly approach will work even better this year with better targeting options available. I expect female viewership and hence female centred brands to continue to rise,” she stated. According to Deepa Balasubramanian, Chief Executive Officer at The Sedibus, the rise in female viewership is a great opportunity for both the audience and brands to come closer and associate. “Women have always followed cricket as a game in this country, despite the prevailing mockery and patriarchy. Growing female viewership with a highly successful product like IPL has inadvertantly caught the attention of brands. This is a great opportunity for both the audience and brands to come closer and associate. Advertising has always been about being at the right place, time, market and the billboard! IPL is the new platform for greater showcasing of these brands,” she said. “Five day cricket in whites was really a gentleman's game. Played by gentlemen and watched largely by gentlemen. And then came Kerry Packer's one-day format. This was a quick game and got in viewership from women as well. 20:20 played in multicolour took it one step further. This was the ultimate cricketainment avatar of an otherwise serious sport,” said Brand Expert Harish Bijoor. “Brands are happy today with mixed audiences of men, women and children of all ages as viewers. Brands love the fact that cricket followership has broken the boring glass ceiling of gender,” he further added. “Cricket is normally a gentlemen game. Traditionally ladies are against games but in recent years since girls have started participating and winning games in olympics, cricket, hockey, badminton, tennis etc and winning on international arena, ladies have started taking interest in sports. IPL being most entertainment out of all other sports in india, ladies have started liking for the same. For brands it brings glamour too. Brands are taking interest in ladies stuffs like clothes, perfumes, longeries, cosmetics, colours and dyes etc will be a big hit and they will get more mileage," said cricket expert R Singhal.